"What does compassionate capitalism look like? Mark Pendergrast shows us in this enlightening story of tribal life, opium, missionaries, market trends, a Thai antiques dealer, a mining entrepreneur and coffee." Abigail Carroll, author of Three Squares: The Invention of the American Meal The Akha hill tribe of Thailand has a long, tumultuous history. Politics, economics, violence, prejudice, and deforestation consistently worked against the Akha's desire to move away from their dependency on opium production and create a stable future for their children. That all changed in 2006 when prominent businessman John Darch met entrepreneur Wicha Promyong. Their meeting resulted in the establishment of an equal partnership business venture that goes beyond Fair Trade: the Doi Chaang Coffee Company. 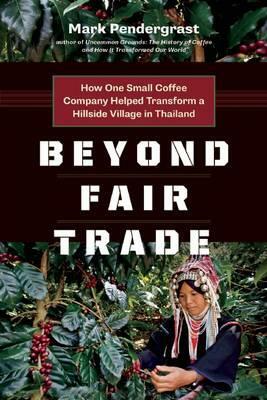 Beyond Fair Trade tells the story of the growth of this unique partnership, its successes and challenges, and the people behind it.